What is CBD, and why was it seized from Alaska marijuana shops? It won't get you high, but cannabidiol, a compound found in marijuana, is tripping up Alaska's cannabis industry. Cannabidiol — commonly referred to as CBD — is a chemical compound often used in pain management. CBD is non-intoxicating, unlike its psychoactive counterpart THC, and it has shown promise in treating a wide range of illnesses, from anxiety to epilepsy. CBD is found in both marijuana and hemp, and confusion surrounds its legal status nationwide. In mid-February, imported CBD products were seized from Alaska marijuana shop shelves. And in December, a flurry of news articles proclaimed that the U.S. Drug Enforcement Administration had suddenly made CBD illegal — a contention policy experts say isn't true. So what's really going on with CBD? On Feb. 9, enforcement officers with the state Alcohol and Marijuana Control Office seized products containing CBD — including oils, chocolate bars and chewing gum — from 10 marijuana shops. The catalyst was a tip from the U.S. Postal Service, which had told enforcement that leaking packages contained more than 1,000 vials of CBD oil, wrote Sara Chambers, acting director of the Alcohol and Marijuana Control Office. About 1,500 CBD products were seized from businesses, according to Chambers. The problem, the state says, is those products didn't follow the same seed-to-sale tracking required for marijuana under Alaska regulations. In the aftermath, many businesses said they didn't know the products were considered marijuana, and disagreed with the state's definition. "I still don't think they had any right to take my product … it's just not a fight I can afford to make," Green Jar co-owner Caleb Saunders said, when asked if he would be appealing the decision. The CBD products were derived from hemp, businesses said, which contains only trace amounts of THC, the psychoactive ingredient in marijuana that gets people high. Hemp is considered an agricultural crop under many state pilot programs. Businesses believed they were acting within the law by importing an agricultural crop, and didn't need to go through the same regulatory processes as Alaska-grown commercial pot. But hemp and marijuana are both types of cannabis — and under Alaska statute, there's no special exemption for hemp. Alaska's law defines marijuana as all parts of the plant of the genus cannabis, except fiber made from the stalks, or oil or cake made from seeds. CBD-rich marijuana strains are sometimes available in Alaska's commercial market. But it appears no one has so far started producing CBD oils and other extracts that contain only traces of THC. Mark Malagodi, CEO of Anchorage marijuana testing facility CannTest, wrote that the greatest ratio he had seen was 2 parts CBD to 1 part THC. If you want Alaska-grown CBD products, you're going to get some intoxicating effects along with it. On Feb. 17, the Marijuana Control Board unanimously voted that CBD products were marijuana. The only exception, the board said, is oil made only from hemp seeds, as that doesn't contain any CBD or THC at all. The board decided not to take any additional punitive actions against the 10 businesses that received violation notices. But the violations can have a cumulative effect. The board can issue fines, suspend or revoke a business license due to one violation, "or after a series of violations that may call into question the fitness of a licensee," Chambers wrote. The idea that the CBD conflict may create problems later doesn't sit well with Anchorage marijuana shop Dankorage, which says it plans to appeal the decision if the notice of violation could count against them in the future. The board has chosen to keep the seized CBD products until the end of the legislative session to see what happens with a bill in the Legislature that would create a separate hemp industry regulated by the Division of Agriculture. If the bill passes, the products could be returned. If it doesn't, the products may be destroyed, or the board can change the regulations to provide for other options, Chamber wrote. In December, confusion rippled across the marijuana industry after the DEA created a new drug code for marijuana extracts. A flurry of news articles declared that the federal agency had just made CBD a schedule 1 drug — classified by the DEA as drugs with "no currently accepted medical use and a high potential for abuse." In response, the Hemp Industries Association sued. But policy experts say CBD products have always been illegal under federal law. "(The DEA) just reiterated what the policy has always been," said John Hudak, senior fellow in governance studies at the Brookings Institution. Paul Armentano, deputy director for the National Organization for the Reform of Marijuana Laws, agreed. "The regulatory change itself was administrative … marijuana has a tracking code, THC has a tracking code, CBD already has a tracking code … big deal," Armentano said. CBD is considered illegal because all CBD products contain trace amounts of THC, Hudak said, regardless of whether it comes from hemp or marijuana. "I haven't found a producer in all of my travels who has produced a pure CBD extract (without THC)," Hudak said. Companies selling CBD products on the internet cite the 2014 Federal Farm Bill, which legalized the production of hemp under pilot program controlled by the state or colleges and universities. But the farm bill allows for hemp production only under narrow circumstances, and specifically for research. General commercial activity around hemp remains federally illegal, as outlined in an August memo from the DEA, U.S. Department of Agriculture, and the FDA. Some point to a ruling from the 9th U.S. Circuit Court of Appeals that hemp stalks and oil are exempt from the definition of marijuana, But Hudak says that's just one decision that has been directly contradicted by other courts. Even with the court ruling, Armentano doubts that the stalks and seeds of a plant could produce enough CBD for a viable product. An article from the California-based Project CBD calls into question manufacturer claims of CBD products derived only from the stalk. Like THC, CBD is concentrated in the leaves and flower of the plant. "Hemp oil start-ups lack credibility when they say their CBD comes from hempseed and stalk," the article says. And sending CBD products — with their trace amounts of THC — across state lines is a violation of federal law, Hudak said. Still, CBD products are widely available online. CBD sales may become more complicated under the Trump administration, which has hinted at tighter enforcement of federal marijuana policy, Hudak said. "It's a serious issue that people are very flippantly interpreting the law on their own without any guidance," Hudak said. The industry also lacks consumer protections, both Hudak and Armentano agreed. In both 2015 and 2016, the FDA sent warning letters to a handful of companies whose products did not have the levels of CBD they claimed. In Alaska, CBD products were sold at more than just marijuana retailers, including health food stores, prior to the AMCO actions. 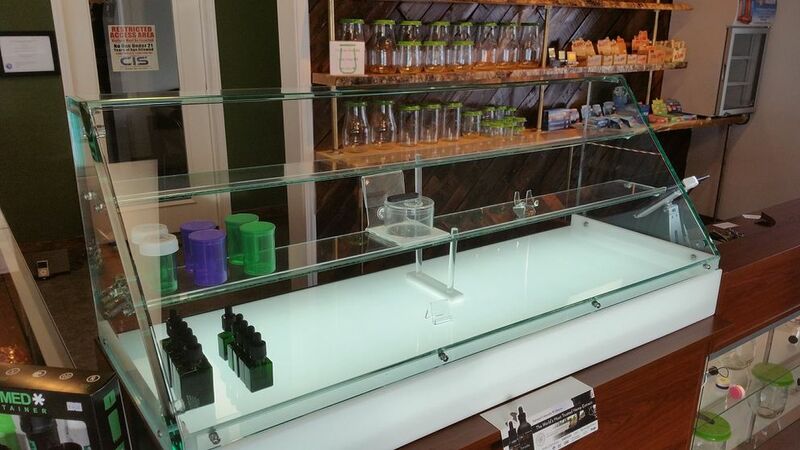 Since the seizures, some of those stores have voluntarily removed the products from their shelves and options for buying CBD in Alaska have dwindled. The Alcohol and Marijuana Control Office, citing staffing issues, said that its enforcement efforts around CBD would focus on marijuana businesses. If local law enforcement chose to take legal action against other retailers carrying CBD products, AMCO enforcement officers would help, Chambers wrote.